Netanyahu condemns Irish legislative initiative which calls for a boycott of Judea and Samaria. Irish Ambassador will be summoned. Prime Minister Binyamin Netanyahu on Tuesday strongly condemned an Irish legislative initiative which calls for a boycott of products produced in Israeli communities in Judea and Samaria. 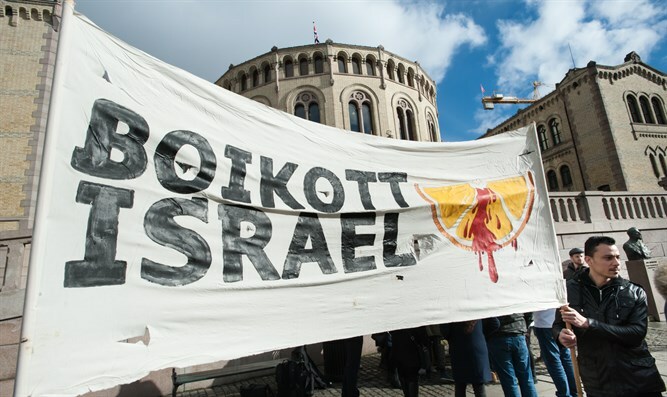 “The initiative gives backing to those who seek to boycott Israel and completely contravenes the guiding principles of free trade and justice,” he added. Netanyahu also instructed that the Irish Ambassador to Israel be summoned to the Foreign Ministry on this matter. The meeting with the Irish ambassador to Israel, Alison Kelly, will be held on Wednesday, according to a report in Haaretz. The Irish senate debated the bill on Tuesday. Beyond outlawing the import or sale of such products, it would also ban services originating from Judea and Samaria, the newspaper said. The European Commission in 2015 issued guidelines for labeling products from Israeli communities in Judea, Samaria, the Golan Heights and neighborhoods of Jerusalem liberated during the 1967 Six Day War. The EU insists the labeling does not amount to a boycott of these regions, saying so-called “settlement products” have to be correctly labeled.